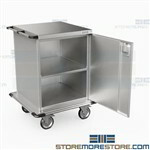 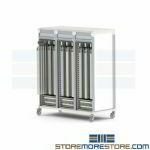 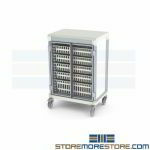 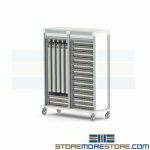 Catheter storage carts with glass doors provide a mobile, space-saving solution that are ideal to use in central sterilization areas for infection control. 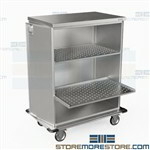 Carts are available with modular baskets, trays, and more to provide a sanitary storage environment with surfaces designed for easy cleaning and draining. 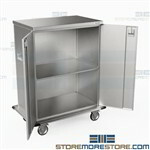 Hospital column carts have glass doors with a tempered design to keep stored supplies dust-free, clean and visible to healthcare personnel. 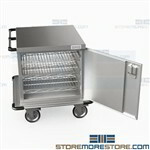 Configurations have surfaces that are easy to clean and drain and can include modular baskets, catheter holders and more that promote optimal space use, infection control, and ergonomics. 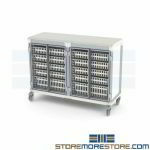 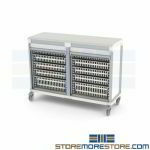 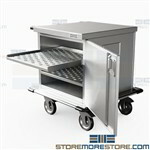 Wire transport carts include large bins that are great for storing and transporting medical, electronic, and industrial parts and inventory. 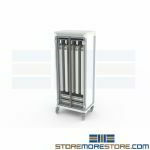 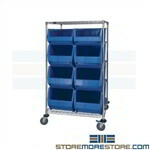 The durable plastic bins are sized for efficient space usage and provide a clean storage environment. 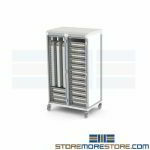 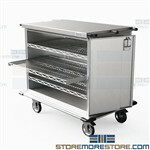 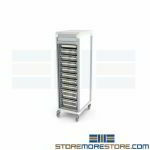 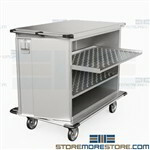 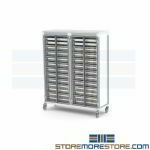 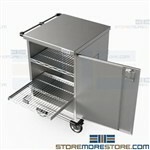 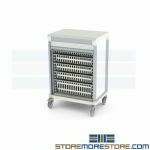 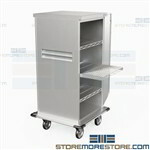 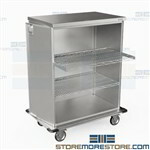 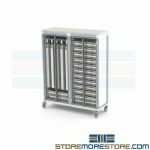 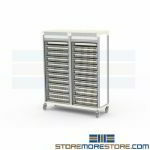 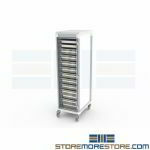 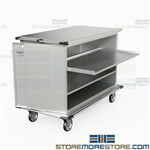 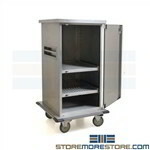 Stainless steel surgical case carts are designed to efficiently store and transport sterile instruments to the operating room. 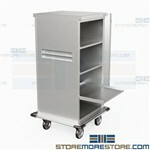 The carts are easy to maneuver with reinforced doors. 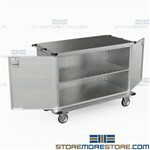 Removable pull-out stainless shelves are available in wire, perforated steel, or solid steel and are adjustable on 2” increments.